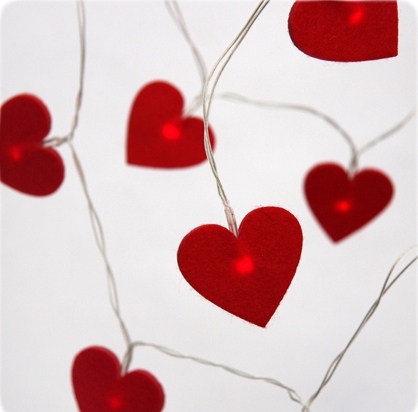 Popular red Felt heart light chain with 20 warm white LED light bulbs. Each LED light is covered with a red felt heart creating a lovely warm glow when lit. Where to use the felt heart light chain? Great for bedrooms where the chain can be used around the headboard and dressing table mirror. Ideal gift for a teenager. Give this to your Valentine on Valentines Day. Great Christmas stocking Filler idea for girls. Battery operated. Requires 3 X AA batteries, not included. Supplied by Light Style London formerly Think Gadgets Ltd.
Total length 2.5 meters of which 2.1 metres illuminated.